After a day of wandering through Umbria’s hill towns and vineyards, shopping and visiting museums in Florence, or simply soaking up the Tuscan sun by the pool, coming back to “the villa” and a home-cooked meal is a welcome treat. AMORE SAPORE, to love flavors, brings the traditional tastes, textures, and colors of Tuscany, Umbria and other Italian regions to your own kitchen, at home in Italy. 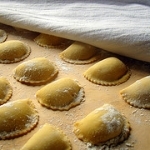 Along with catering services, AMORE SAPORE offers cooking classes and welcomes your participation in creating such varied local specialties as ravioli and gnocchi with various sauces, sausages, flatbreads, marmalades and preserves, meats and games or fish grilled over coals in the hearth, and cooking with truffles and local herbs found growing wild in the countryside. Much of the fruit, vegetables and meat come from our own garden or from nearby farms. We always include a remarkable, freshly pressed olive oil from olives grown right here in our valley. We work closely with you to plan menus to please every palate, based on seasonal favorites, likes and dislikes, ages and allergies. In this website you will find lists of our most requested dishes. There are many more we could add, but it will give you a starting point from which to plan. Or, if you prefer, we are happy to suggest a menu to you, as well as our wine recommendations. 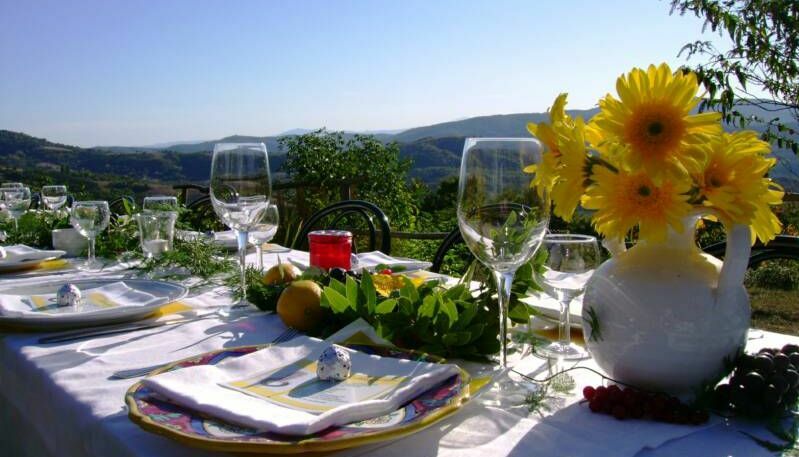 We suggest you book your date with AMORE SAPORE when you make your villa rental reservation as our calendar fills up quickly during the tourism season from Easter through October. Our heartfelt thanks to Sharon Burris, Virginia Ives, Addie Jenkins, Katy Keck, Sherry MacGregor, Kathleen Moore, Kathryn Simon, David Wakely, and all our friends who have supplied photos for this website.